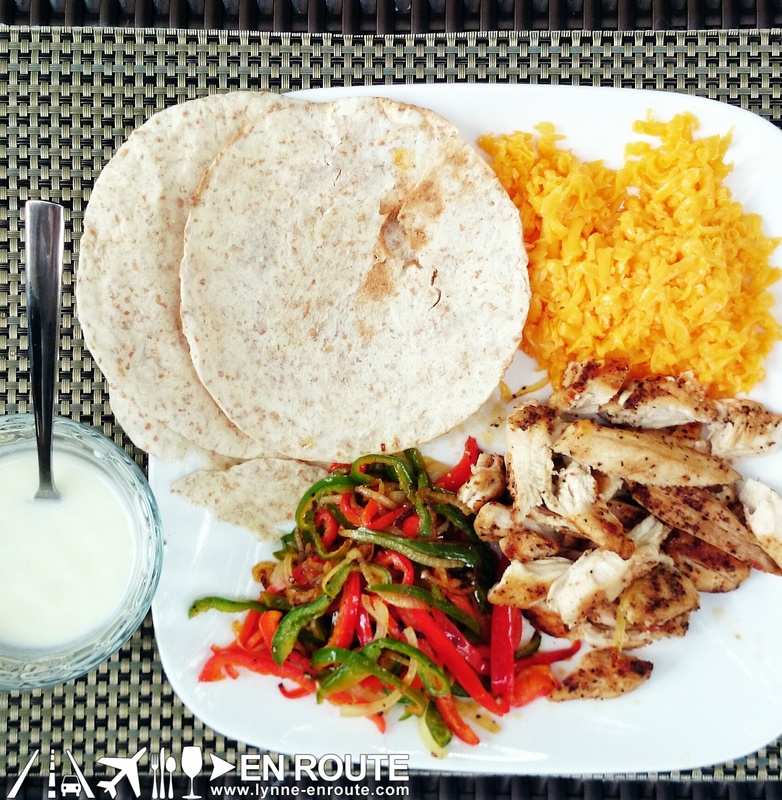 The great thing about this is it is unbelievably easy, that you ever wondered why you could not have done this Chicken Fajitas at home. It is also very healthy, with the plain yogurt as its dip and little other calorific ingredients as possible. In the event you are too lazy to make it, you can buy one off the grocery shelf. Or if such dry rubs are not available, plain salt and pepper is fine. In the same pan, add two tablespoons of oil. Turn to medium heat. Add chicken breasts. Cook for about 4 minutes on each side. Remove from pan and let it cool. All done in less than 20 minutes, and makes for a healthy lunch. The main driver of flavor here is the cheese and the chicken, with the cheese’s creaminess hitting your taste buds first before the flavors of the dry rub take over. Yogurt acts as a means to make it milder, while the vegetables gives a great texture and crunch. This goes great for low maintenance dinner parties as guests will have a blast making their own wrap. Cheap, too! Hot sauce? Add as much as desired. Mexican food just goes oh so well with hot sauce!